Here is a prayer book that offers you the wisest, most comforting of prayers, while also guiding you on how to pray. Whatever your experience of prayer, you will find a new depth of inspiration and support in these pages. From the most ancient heartfelt prayers to those newly written by the author herself, this is a collection that meets us where we are - and takes us where we most want to go. 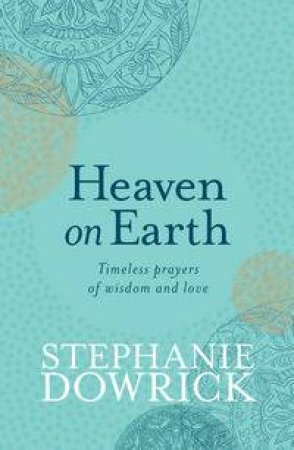 As a writer and spiritual leader who has supported and guided many thousands of people to live more hopefully, Stephanie Dowrick has a rare understanding of what prayer is and how steadfastly it can support you, whatever your faith background or journey. Some of the world's most beautiful words are gathered here; so are many of the most uplifting and consoling. From prayers to be shared with family, friends or community, to prayers that take you within to your own soul's depths, this is a collection to be used and cherished.